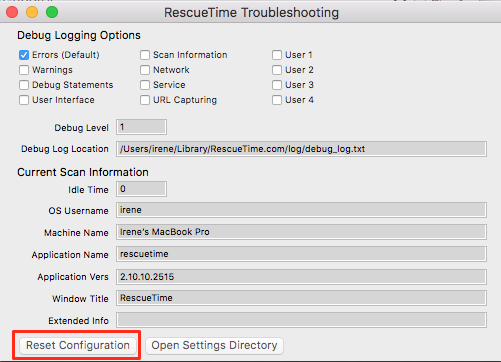 These instructions will prompt a request to enter your RescueTime's email and password. 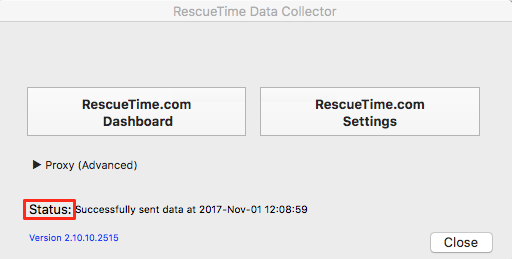 Find the RescueTime icon. On Windows, you'll find it on the bottom right. And on OS X on the top menu bar. Click the icon and choose Preferences. On Windows, you need to right- click. Click the word Status toward the bottom; this opens a debugging window. 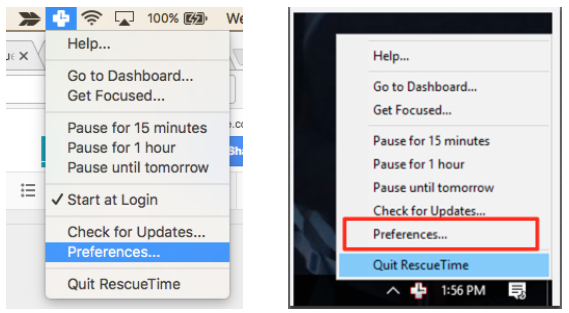 Enter your RescueTime email account and password when prompted.